The fifteen acre Klingel Farm is south of town on the east side of Emmitsburg Road. (Tour map: Emmitsburg Road) It was in the center of the Confederate attacks on July 2nd and 3rd. Daniel Klingel bought the farm in April of 1863 from Jacob Benner, who in 1862 had received the farm from its original owner, the elderly Ludwig Esick, for payment of debts. Daniel, an Adams County native, lived at the farm with his wife Hannah and two very young children, Samuel and Catherine. Daniel was a shoemaker as well as a farmer. Daniel was witness to the First Corps advance down Emmitsburg Road on July 1st, and watched as they took down the fence to the west of the road and advanced at the double across the Spangler and McMillan farm fields on their way to the first day’s battlefield northwest of town. 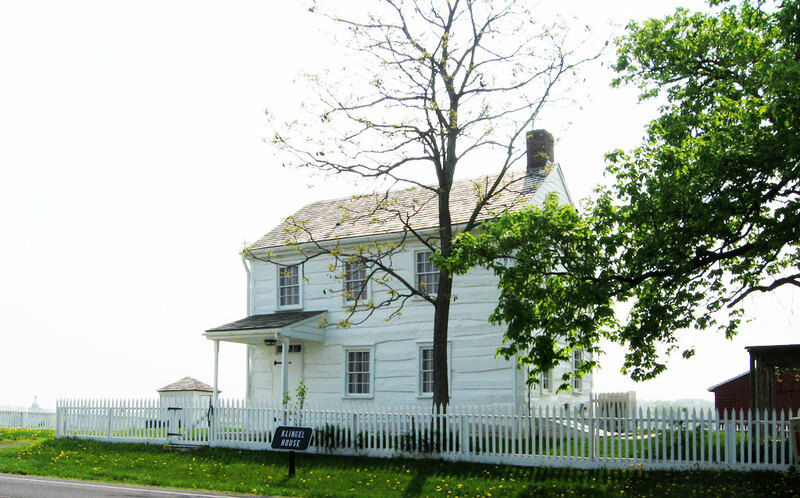 In the evening “14 to 16” wounded Confederates were brought to the house, which Daniel cared for through the night. On the 2nd the Klingel family left the farm after repeated warnings from Union officrs, heading by way of the Trostle farm to the foot of Little Round Top. Daniel was taken up to the Union signal station on Little Round Top, where he helped identify roads and terrain features. When the hill came under fire from a Confederate gun on Warfield Ridge he slipped away and returned to his family. They made their way to a friend’s house near Rock Creek, where they waited out the battle. Daniel returned home on the 4th after a long trip where he was conducted from picket to picket through the area where the Army of the Potomac still faced Confederate troops. He returned to a scene of devastation, with nearly all his possesions gone or destroyed, including his shoemaking tools and leathers, his two cows and a calf. (He found part of one cow on the Trostle farm; the other cow and calf, miraculously alive, turned up a month later about two miles away.) There were bullet holes in the house, and powder marks where soldiers had fired from inside the house. Most of his crops were destroyed and all his fences missing. After the war Daniel filed an $880 claim for damages to his farm, but after long deliberation it was denied in 1881. The farm was also covered by the dead. Bodies lay all around the house. Two were just inside the gate, and two others under the porch where they must have crawled for shelter before dying of their wounds. One shattered tree in Klingel’s orchard concealed four dead soldiers huddled around a cooking pan with food still in it. Little Catherine died in September. Hanna had another son, John Elmer Ellsworth Klingel, but he died in August of 1864. In September Daniel enlisted in the 209th Pennsylvania Infantry and served in the Siege of Petersburg, but was discharged for medical reasons in March of 1865. Hanna bore another daugter in May of that year who died that fall, and to a son, Charles, who was born in 1866. The next year the Klingels sold the farm to Joseph Smith, and it is as the Smith Farm that is described in many postwar records. Hanna gave birth to another son, Harry, in 1867, but died in February of the next year, and little Harry followed her in July. Daniel remarried and had four more children, two of whom died in infancy. Of his ten children by two wives, only four lived to adulthood, a tragic record even for the 1800s. By 1880 Daniel was working as a shoemaker in Baltimore, but he lost his second wife, Mary, in 1882 and by 1890 had filed a claim for total disablility due to his Civil War service. He returned to Gettysburg, where he died in 1893. 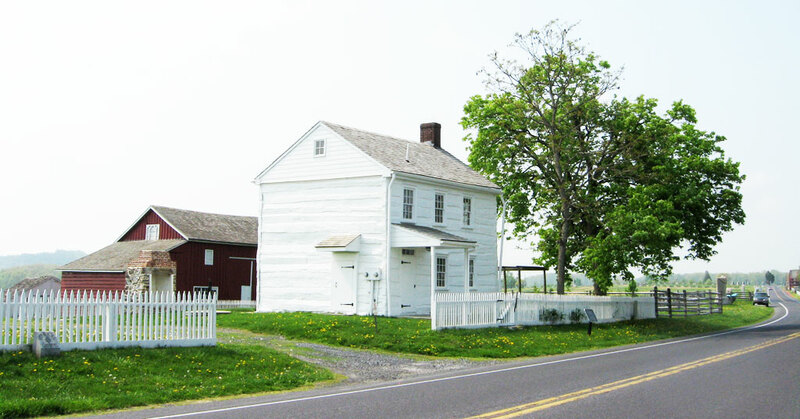 Today the Klingel farmhouse has been restored to its Civil war appearance. An addition on the rear (east) side of the house that was built after the war was removed, as was its weatherboarding. 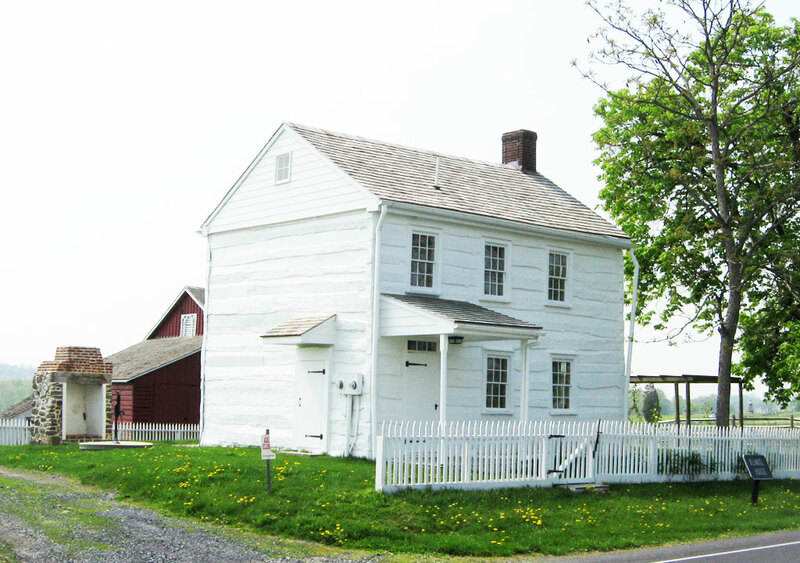 See the Klingel farmhouse as it appeared before the restoration. Is it Klingle or Klingel? The War Department plaque in front of the house reads “Klingel,” as do the tombstones in Evergreen Cemetery and the Batchelder maps. Other records, including some with Daniel’s signature, read “Klingle.” And on his pension form he signed his name “Daniel Klingal, otherwise Klingle.” Like the Bryan or Brian family, spelling could be more free-form in former times.